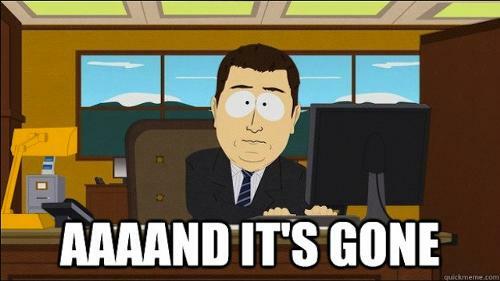 From now until September 1, 2015, trading fees across BitMEX are now zero! BitMEX has raised leverage on our XBT Bitcoin / USD futures contracts to 25x. The new Simplified UI is now live. Traders may now choose from the “Basic” or “Advanced” layout. BitMEX aims to serve the entire crypto trading community. 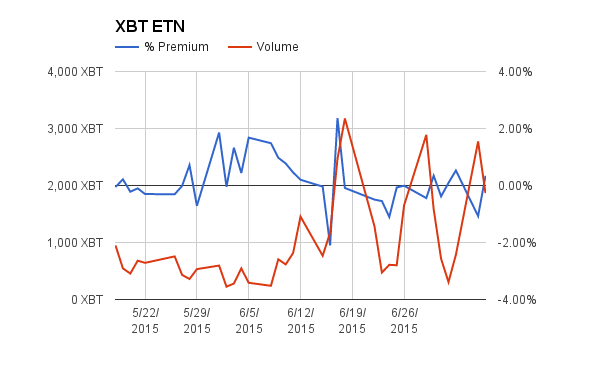 The return profile of our XBT quanto Bitcoin futures contracts is ideal for speculators. Starting today, we have raised the leverage to 25x for all XBT contracts. For example, if you wished to open a position worth 100 Bitcoin, you only need 4 Bitcoin of margin. High-leverage instruments are high-risk. During fast moving markets, it is possible that some traders may go bankrupt. To ensure a zero sum system, BitMEX developed the Dynamic Profit Equalisation system. Traders can withdraw realised profit from the system subject to an adjustment. The implied profit adjustment, if any, is displayed on the order book at all times. We want users to enter into trades with full knowledge of the state of the system. To discourage traders from attempting to manipulate the futures market with the intention of causing margin calls, the futures contracts for margin and unrealised pnl purposes will be marked at the Bitfinex spot price plus an exchange set offset. The mark price will generally be set to match the prevailing futures last traded price. It will change in real time with the movement of the spot price. If a trader attempts to aggressively push the last traded price away from the mark price, traders will not be liquidated. The mark price has no effect on realised pnl. To learn more about the DPE system, please read the blog post Dynamic Profit Equalisation. Last week, the global commodity complex got choke slammed. Gold and silver were monkey hammered through key support levels. The world is afraid of a strong dollar and a less investment-focused Chinese economy. The Australian dollar (the purest play in currency land on commodity strength) is in free fall. The world economy is not well. Apart from super luxury homes and apartments, people can afford less and less with their stagnating or declining incomes. China is transitioning away from breakneck industrialisation. Chinese electricity consumption (this is about the only statistic you can somewhat trust coming from China) grew at the slowest pace in 30 years. Bitcoin, the newest monetary commodity on the block, stood its ground. The only global growth area is financial repression. Governments are ratcheting up their efforts to sequester and steal their citizens’ wealth. More and more people are waking up to the fact that the socialist utopia promised by their elected or unelected kleptocrats is a chimera. Governments with their backs to the wall will always steal their citizens’ money with capital controls and inflation. Bet on this one area of global growth by going long Bitcoin. f you repeat something enough, people will get the message. Many economic pundits globally have been warning Greeks since the beginning of 2015 that a depositor bail-in was coming. The recent Greek capitulation to their European overlords has changed nothing for ordinary citizens. The capital controls remain in place. Businesses cannot import the goods they need. And with each passing day probability and magnitude of a depositor bail-in grows. Now Reuters predicts that capital controls will last for months. The Europeans have refused to hand over fresh Euros to recapitalise Greek banks. They fear their domestic populations will balk at tax dollars going into the black hole that is the Greek banking system. The capital controls remain, and as a pre-condition for any bailout it is almost certain that ordinary depositors will not see a portion of their wealth ever again. At this juncture, the Greeks have only themselves to blame. They elected Syriza on the promise of repudiating the austerity platform. That was the moment to pull money out of Greek banks and spirit it away abroad. The wealthy Greeks got out of Dodge and left the plebes to fend for themselves on 60 Euros per day. In the past 2 years, the first world has been given two concrete examples of capital controls and depositor theft. If you haven’t gotten the message by now, I don’t know what will convince you that money in a bank isn’t yours. This doesn’t mean you should rush to store all your wealth under your mattress or start setting up offshore bank accounts. Recent events have shown that storing 100% of your wealth in your domestic banking system is risky. Diversification is key. Bitcoin is one pillar of a proper diversification strategy. Capital controls and banking closures are usually the precursor of violence. If you had to relocate, possessing an asset that can be exchanged globally for other currencies or goods is prudent. In addition to your cache of gold and silver coins, consider a Bitcoin wallet filled with emergency funds. The beauty of Bitcoin will make itself apparent during a breakdown of polite society. There are now a few platforms offering Bitcoin futures products. In any new market, there are sometimes large price discrepancies between similar products. Traders with sufficient knowledge can employ arbitrage strategies and profit from market inefficiencies. Futures vs. futures arbitrage is one strategy that can increase the return on your dormant Bitcoin. This strategy is geared towards traders who have a core holding of Bitcoin that they don’t plan on selling. Assume that there are two futures contracts that have the same return profile and expire on the same date. Futures A and B trade at $100 and $110 respectively, and expire in one month. Each futures contract requires margin of 20% in Bitcoin. You decide to buy future A and sell B to capture the $10 premium. On an annualised basis, you have earned ($110 / $100 – 1) * 12 = 120%. The good thing about futures is the use of leverage. 120% is your un-levered return; however for this trade you only had to put up 20% equity on each side. Your real return on equity (ROE) is 120% * 1/40% = 300%. Chop, Chop, Chop. Bitcoin exited the $270’s with a bang straight on through to $295. Ever since, the price has been dancing to the tune of LTC, and chopping up trader’s portfolios in the process. $300 looms large, but the battle for that mountaintop is proving intense. It is a tough call to discern whether Bitcoin will collapse to $200, or rise above $300-$320. The temporary removal of a formal Grexit has left Bitcoin searching for a narrative to carry it higher. In the absence of a new strong narrative, expect the price to languish. The longer it spends within striking distance of $300, the more vulnerable it is to a well executed bear raid. One last attempt to breach $300 in this rally is likely. Failure to scale this peak will give the bears a perfect opportunity to inflict a severe mental and economic blow to the bulls. The past attempt and failures at $300 were followed by a swift downdraft. Expect the operators to go for blood and attempt to puncture $200 once more. In the absence of a global macro wobble, unlevered buyers should wait for cheap pickings in the low $200’s. 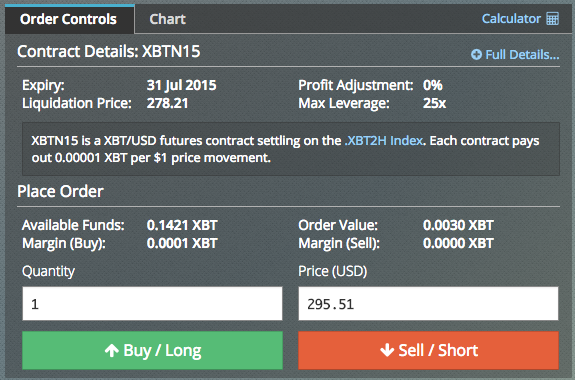 Buy XBTN15 while spot is below $290. The upside target price is $300. If the price trades below $280 again, close the long position. The people of Greece have been betrayed. Prime Minister Alexis Tsipras called a referendum on the conditions of the controversial EU bailout package. The people voted not to accept the terms. Now he has “signed” a new program that cedes all control of Greece to Brussels. The most galling part of the new plan is that proceeds from a 50 billion Euro privatisation fund (read: selling Greek islands and public utilities to the highest bidder) will be used to recapitalise the failing banks. The EU has robbed Peter to pay Paul. In the end they have provided no real assistance to their European brother. Greece has until Wednesday to pass the agreement in parliament. The Greek people need to make themselves heard. They must put the fear of God into any MP who dares to ignore the landslide No vote in the referendum. If this agreement passes, violence will reign in Greece. If the banks somehow manage to reopen, they will be emptied of Euros within days. As this agreement hit the newswires, Bitcoin began nosediving. The price touched a low of $281. 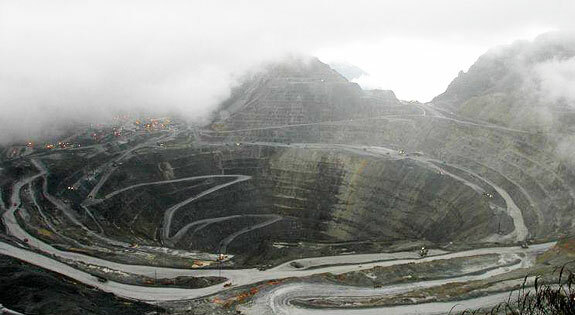 Once more information about the deal trickles out, traders will focus their sights on Wednesday and the political fight to pass the agreement. $300 Bitcoin may return in a few days time. Bitcoin is one of the only ways that European people can secure assets outside of the EU banking systems. Germany is hell-bent on demonstrating to Spain, Italy, Portugal, and France what happens when they are disobeyed. Citizens of these countries must read the writing on the wall. It is not enough to hold cash under the mattress, or spirit capital to Switzerland. Every EU citizen will now wonder: is our country next? Will we be made to beg for scraps from unelected bureaucrats? Redenomination risk is real, and the contagion will spread across Europe. Bitcoin will continue to be bought on these fears regardless of whether the Greeks receive another bailout. The financial services industry employs many intelligent people. But in the end there are only two actions, Buy or Sell. China is seeking to remove the sell button permanently in an attempt to prop up its market. Authorities have even threatened jail time for those who sell their holdings. 50% of the market is shut, and you can now pledge your house as collateral for a loan to buy stocks. Many western commentators have chastised China for not living up to the free market principles they were supposedly striving to implement. China is not doing anything that western governments (US and Europe) haven’t tried before. The Chinese style is just a tad more in your face. Franklin D. Roosevelt in 1933 banned the private holding of gold by US citizens. Those who refused to sell their barbaric relic to the government at a below market rate faced federal prison. China is the US and Europe’s portrait of Dorian Gray. If China’s brash way of dealing with falling asset markets proves successful, similar measures will be introduced when the contagion spreads to western capital markets. People invest in paper assets (stocks, bonds, etc.) to store and grow wealth. If there is no exit, these assets are worth zero. You can’t eat stock. You can’t eat Bitcoin either, but at least there are free markets for the exchange of Bitcoin. The low volatility phase that began in mid-April is over. 30-day realised Bitcoin volatility has risen to 50.96%. As the volatility mean reverts, the current market structure will change dramatically. With the backdrop of Grexit and turmoil in financial markets globally, the more likely scenario is for Bitcoin to continue its upward ascent with increased vigor. While short dated futures’ basis on BitMEX and our competitors has risen sharply, December futures’ basis (XBUZ15) on BitMEX has barely budged. As volatility increases, the Bitcoin call option becomes more valuable. Given an unlimited upside, longs will be willing to pay increasing rates to borrow USD and buy Bitcoin. XBUZ15 has the most remaining time value, and the rate rise will impact this contract’s basis the most. There are two ways to profit. If you would like to retain upside exposure to Bitcoin and rates, buy XBUZ15. If you would just like to profit off of rising rates, then buy XBUZ15 and sell XBUU15. This will cost you around $2-$4, as XBUZ15 is more expensive by that amount than XBUU15. The $2-$4 is your entry fee and maximum loss. 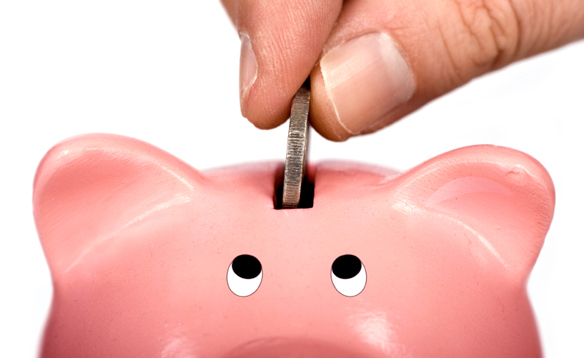 Effectively, you are borrowing money between September and December for 5% per annum. Given the explosive nature of Bitcoin, that is very cheap. Compare to Bitfinex, where you can borrow USD at 27% per annum. Buy XBUZ15 outright, or buy XBUZ15 and hedge your delta by selling XBUU15. Until last Friday, Litecoin was up 8x on the month. Since writing Chinese Promoter Pumping Litecoin Via Ponzi Scheme on Friday morning, the price of Litecoin has fallen 45%. The promoter began cashing out his position on Friday afternoon. LTC dumped and Bitcoin pumped on all the Chinese exchanges. Spot Bitcoin on OKCoin.cn hit a high of 2335 CNY or $376; a full retrace happened in minutes and any traders with derivative positions that included China prices got rekt. This happened against a backdrop of a major DDoS attack on many of the leading Chinese exchanges and Bitfinex. There is no definitive evidence of chicanery but where there’s smoke, there’s fire. Which altcoin will this well-run operation pump next? Be sure to let us know when you do. 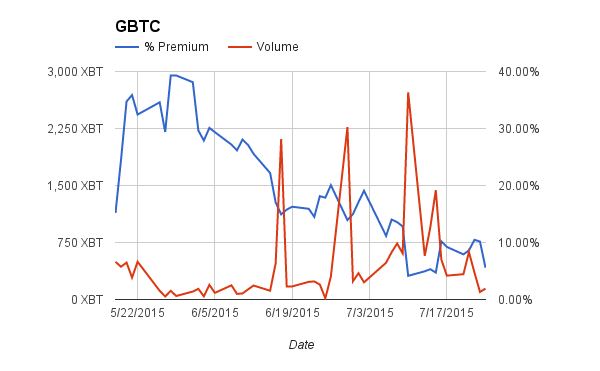 The LTC and Bitcoin dump and pump on Friday lit a fire under the trading volumes of GBTC and XBT. Volumes surged on Friday, and XBT traded an all time high 5,170 Bitcoin. 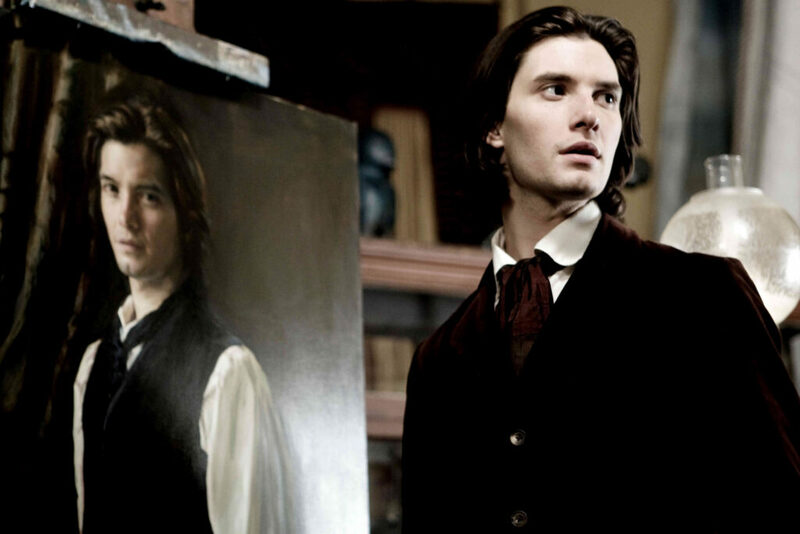 With the heightened Greek drama, expect volumes to continue increasing. 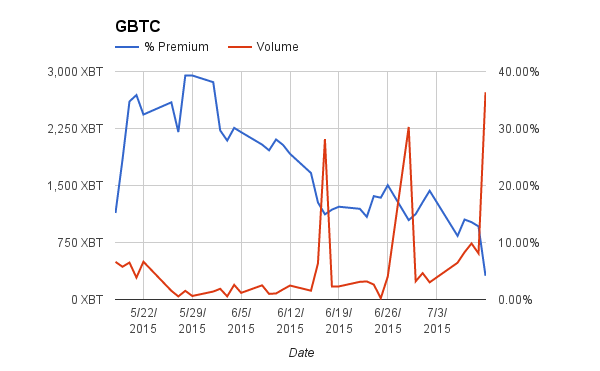 GBTC’s premium now stands below 10%. As more supply enters the market, it appears the market maker is able to better control the premium. The news of a Greek deal slid across the wires. The price slowly faded lower. Within minutes, Bitcoin was in freefall and retested $281. The level held on two attempts, and a consolidation is under way around $285. Intraday volatility has returned. Babysitting your Bitcoin is essential. After a sleepy start to the summer, proper risk management techniques need to be employed or you will find yourself rekt. The Greece saga is not over. The parliament must approve the deal by Wednesday. Bitcoin will be in a holding pattern until then. The news is likely to be negative (Bitcoin positive) up until the vote. My base case is for the Greece parliament to sell their citizens down the river and vote to approve the deal. The downside target is $260. Medium term I am still bullish Bitcoin as the Greece debacle has laid bare the intentions of the EU overloads. Spanish elections are this fall and the ruling party is in trouble. Expect a flare up of European contagion risk as the markets focus on the next weakest links. Sell XBTN15 into the retracement of the $281 fall. The downside target price for spot is $260. If a the EU agreement is voted down, cover quickly. Back to square one. Early morning Asia time, the final slam down brought Bitcoin below $230. Some traders expect further downside below $220. The recent spate of exchange hackings did not improve sentiment either. Bter, HitBTC, and Excoin were all “hacked” in the span of 24 hours. The Eurogroup has a press conference planned at 7pm GMT where hopefully more light will be shed on the Grexit situation. Financial market globally are waiting with baited breath for further developments, Bitcoin is no different. In light of the global macro confusion and fear surrounding Greece, it is prudent to flatten out ones book. The price could easily drop below $220 or regain the mid $240s in the next 12 hours.